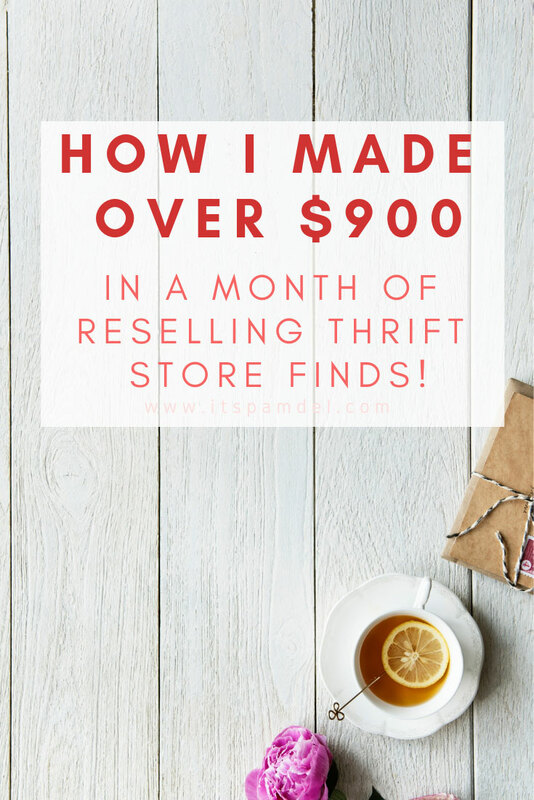 Reselling Thrift Store Finds: I Made $900+ in March! If you follow my Instagram or my blog at all, you’ll know I love thrifting. And with that love I quickly learned years ago I could make money shopping. I know, every girl’s dream right? Reselling thrift store finds is all about finding the items that people will pay a pretty penny for…and you only pay pennies for. I love sharing things to look for at thrift stores to resell & you can see specific items I sold here & here. I am also sharing approximately how many hours I worked on particular platforms each month, I don’t count sourcing items since I don’t go on trips JUST for sourcing anymore. All my trips thrifting are for myself & if I happen to find things to resell..well that’s awesome. And some hours I’ve only shipped because I listed the items I sold in previous month’s. So let’s get into how much money I made selling thrift store finds in March. 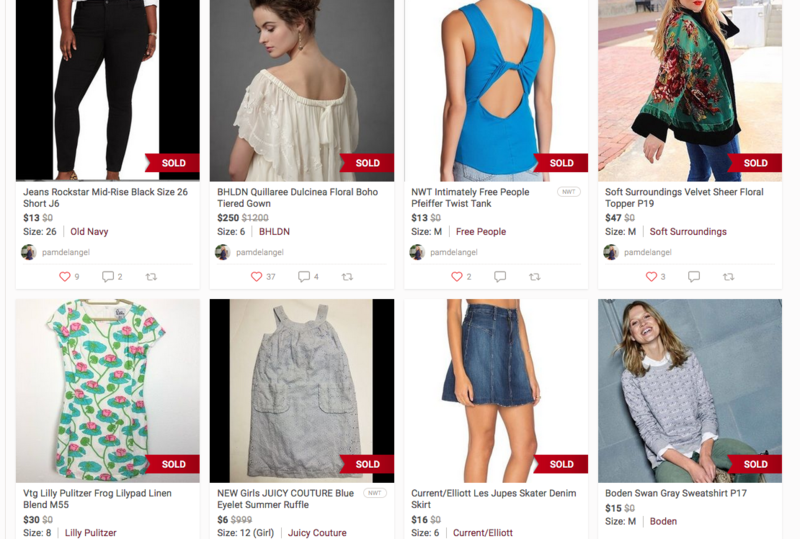 I shared how much I made in 2018 reselling on Poshmark, selling thrift store finds is a side hustle for fun extras in life. I know that if I had the need to ramp up sales & make more money that would be an easy transition to switch over to full time reseller since I’ve done that in the past but for now I’m going to be content with having this as a side hustle & not push for MORE listings, MORE money, MORE time sucked from my schedule. This is my story & don’t want to compare my story to anyone else’s, I’ve done that too many times before and it only ends in frustration. Soo with saying that, don’t make these posts a comparison game..these posts are to just show how reselling can be an awesome side hustle if that’s what you’re interested in & there’s money to be made. I’ve been loving Mercari for selling hard goods, I’ve sold some items that were SO stale on eBay…seriously sat FOR SO LONG. Things I thought that would fly but I feel like they weren’t given any attention but actually sold on Mercari!! WOOHOOOO!!! & this past month I decided to try cross listing more clothing from my Poshmark closet onto Mercari & surprisingly sold a few items! But I really thing hard goods & higher priced items are what works best on Mercari for me. Ok ok, now what you’ve probably scrolled past the rest of the post for. The numbers for how much I made reselling items online during the month of February. 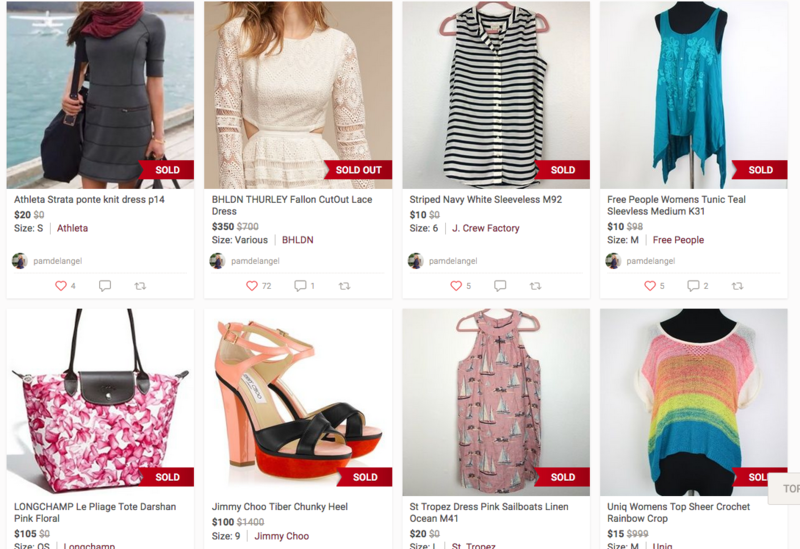 To see all my adventures on reselling thrift store finds online, check out the resell category on the blog. And you can’t miss this post on some of my top flips last year! If you have any information you’d like to see in my thrift store flipping income reports, please let me know by leaving a comment. I’d love to help you in your resell journey by answering any questions & giving any information that could be of help.